Valentines day is around the corner, and where some people have gift buying down to a tee...others seem to struggle buying the perfect present for their loved one. Valentines may be just associated with couples in a relationship, but it is also about the singletons who finally find the courage to ask that special someone out for a date...Well, if you wont do it then, when will you? I was recently introduced to Man Crates and their date crate project which is to write what 5 products I would put in a 'First date crate' for men. they are a new company that ship awesome gifts for men in a custom wooden crate that has to be opened with a crow bar! Now I'm not saying that all men are useless or anything.........but SOME guys cant quite grasp what women expect from them on a first date. Now, I am talking from personal experience when I say that they need a bit of help with the preparation, so I am here with my suggestions of tools needed to sweep us off our feet! I dont know of any women who doesn't like flowers, so turning up on their doorstep with a beautiful bouquet is sure to set you off to a great start. I am a sucker for a man who smells good! Smelling great for a first date is going to leave a great impression, whenever she smells that aftershave, she will be thinking of you! my favourite is Diesel Only the Brave and can be bought online from boots. 4. Book of Conversation Starters. 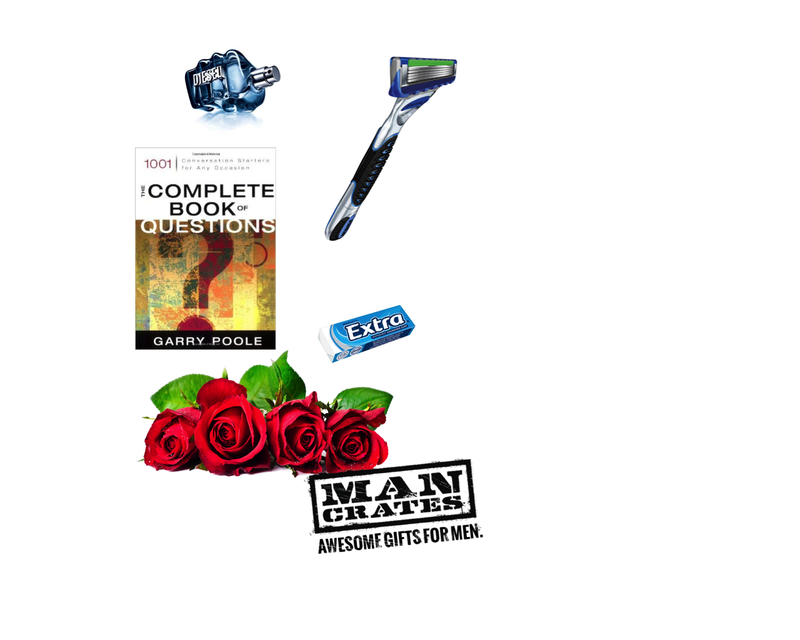 If a guy is feeling really nervous about a date, then one of these books could come in handy. No one likes an awkward silence! I hope this has helped all the 'romantically challenged' men around! What products would you put in a first date crate? ?